It’s that time of year again. The voucher scheme starts this week!! 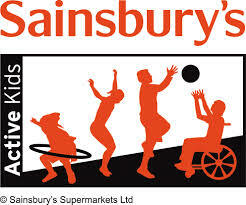 Please get all your family and friends to collect Active Kids vouchers from Sainsburys – we can get lots of free stuff if you bring them in to us over the next few months. With a smaller membership please bring them to us instead of school as the schools have hundreds to collect from – we have many fewer people to collect from! !